Celebrating CCX Create Super Heroes! 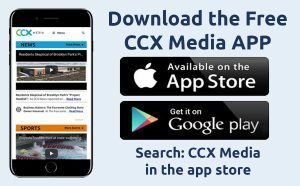 On November 8, 2018, CCX Create staff, volunteers and their guests gathered at the Maple Grove Community Center to honor and recognize the contributions CCX Create volunteer members make to our communities. This year’s theme was “Celebrating Community Media Super Heroes.” If you were unable to attend (or just want to relive the fun! ), check out our playlist of videos. CCX Create volunteers are true Super Heroes!